This album "Rolling Stones Get Yer Ya-Yas Out" from The Rolling Stones recorded at Madison Square Gardens New York 27 & 28 Nov 1969. "Get Yer Ya-Ya's Out! ": The Rolling Stones in Concert is a live album by The Rolling Stones, released 4 September 1970 on Decca Records in the UK and on London Records in the US. It was recorded in New York and Maryland in November 1969, just before the release of "Let It Bleed". 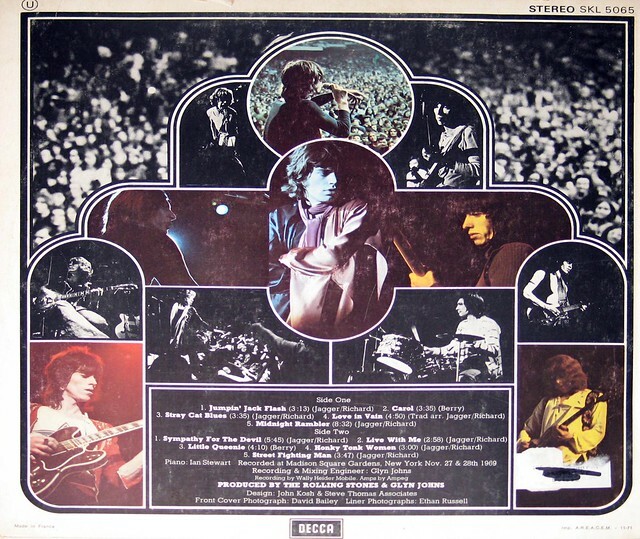 Many, including The Rolling Stones, consider this to be their first official full-length live release, despite the appearance of the US-only "Got Live If You Want It!" in 1966 as a contractual obligation product. One reason for releasing a live album was to counter the release of the "Live'r Than You'll Ever Be" bootleg recording of an Oakland performance on the same tour, a recording which was even reviewed in Rolling Stone magazine. 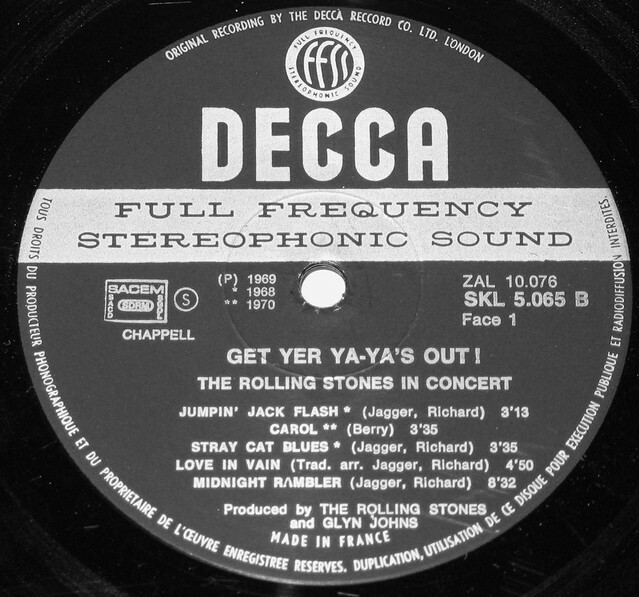 The album: "Rolling Stones Get Yer Ya-Yas Out" was produced by: the Rolling Stones & Glyn Jones. Design: John Kosh, Steve Thomas Associates. Photography: David Bailey, Ethan Russell. 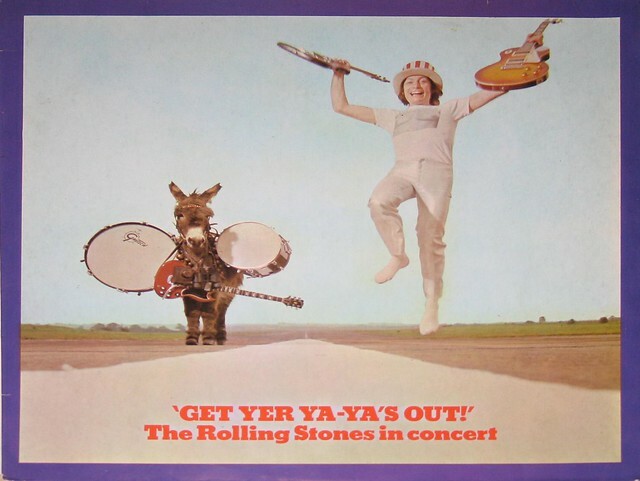 High Quality Photo of Album Front Cover "Rolling Stones Get Yer Ya-Yas Out"
Album Back Cover Photo of "Rolling Stones Get Yer Ya-Yas Out"
Complete Track-listing of the album "Rolling Stones Get Yer Ya-Yas Out"